You can earn far more than just a paycheck. No matter what your background, education, or experience, chances are that a career unlike any other awaits you at AFCS. The Bay Area Air Quality Management District is the public agency entrusted with regulating stationary sources of air pollution in the nine counties that surround San Francisco Bay. Transform the future of health care. Transform lives. Help us shape the future of health care. Blue Shield is always looking for new, talented people to improve the lives our members. There's never been a better time to be part of BMO. Everyone who works here has a role to play in making a difference for our customers. Every day. In order to meet tomorrow's changing realities, we are constantly seeking outstanding employees who can help us improve our systems, processes, and technologies ~ today. Teamwork is the foundation of our employment culture. Although we celebrate the difference that one person can make, we know that success often expands with diversity and the synergies that are inherent in teamwork. We believe that people can and do recover from mental illness and should have that chance. At the Mental Health Center of Denver, we hire people dedicated to working toward that goal. We're here to keep the dream of home ownership alive. Oh, and while we're at it, we're determined to change the lending industry itself. It's simple, but it won't be easy. And we'll need a great team behind us. As a Parkland team member, you have the opportunity to apply your skills and talents as well as advance your knowledge and career goals. Join us to make a difference to our patients, our community and your career! Building Your Career With Republic Services. Meaningful, Ethical Jobs, from one of America's Best Employers. We strive to create a workplace that's meaningful and rewarding. 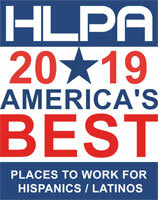 That's why we are proud to be recognized as a best employer. At Reynolds Consumer Products we respect, value and celebrate the unique attributes and experiences of our employees. We believe embracing diversity and inclusion not only enhances our work culture, it drives our success. Osceola educators bring unlimited amounts of creativity to their teaching, as they remain committed to their students and families and work tirelessly to inspire an engage our children. Leading health care professionals are drawn to Sinai Health System because they share our core values: integrity, respect, teamwork, quality, and safety.